Join us for the New-York Historical Society’s film series, featuring opening remarks by notable filmmakers, writers, legal scholars, and historians. Explore how film has tackled social strife, morality, and the perennial struggle between right and wrong—conflicts that manifest across cultures and history. A teenage girl bored with her humdrum life is thrilled when her sophisticated and worldly uncle comes to visit her quiet town, but she quickly realizes he’s brought with him much more than what initially meets the eye. Directed by Alfred Hitchcock. Starring Teresa Wright, Joseph Cotten, Macdonald Carey. 108 min. Ron Simon is curator of television and radio at the Paley Center for Media. Dale Gregory is vice president for public programs at the New-York Historical Society. Entrance to the film series is included with Museum Admission during New-York Historical’s Pay-as-you-wish Friday Nights (6–8 pm). No advance reservations. Tickets are distributed on a first-come, first-served basis beginning at 6 pm. 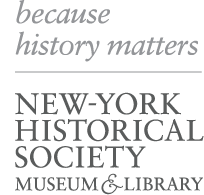 New-York Historical Society Members receive priority.